Movie Review – UP – Cute! I’ve been wanting to watch this for a while, being a fan of Pixar films (I just watched Ratatouille again 2 nights ago on HD and Incredibles too!). I had some time to go to the cinema so I got District 9 and UP watched in one night! Both great films, and both in IMDB Top 250! Although I’m starting to think newer films get in much easier due to way more ratings than the old films and the sheep mentally of people ratings stuff other people think is good. 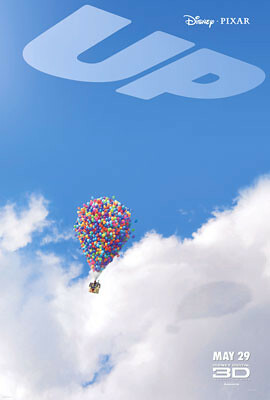 Even so, UP is still a great film – definitely one of Pixars best so far. It’s a very touching story and I love Dug! I just wish EmoCharlie could talk now too so we don’t have to guess all the time what the hell he wants. I like the fact that Pixar doesn’t use the current ‘big stars’ too, recognisable faces and voices – they tend to use great actors that are not so mainstream. I mean Christopher Plummer is a fantastic and experienced actor, but I doubt any of the younger crowd have a clue who he is. It just makes the whole narrative so much more believable and brings the characters to life. UP is a very touching story, likely to make you both laugh and cry. Definitely worth watching if you haven’t already, and especially for those Pixar fans. I found the pacing a little off tho and there were some lulls where it got a little boring, other than that though it was all around good. They seem to be on a streak now, with WALL-E and now this. I’m not sure if I’d say it’s the best movie of the year, honestly speaking I think I enjoyed D9 more than this but it’s definitely up there with Star Trek. Still waiting for Inglourious Basterds. Watch UP if you haven’t already, I give it a balloon filled 8/10. Movie Review – Ratatouille – Fantastic Animation! 9 Responses to Movie Review – UP – Cute! nice movie indeed. but of all pixar movies, i love finding nemo best. high rating u gave there. nice and colorful. I like (and hated coz im a ego-filled manly guy) how they attached the sad feeling in the beginning of the movie and then keep bringing up the feeling throughout the movie. A bit of NLP in the works there but i loved it! i think i’m in luv with russel. he so cute! their ‘streak’ has actually lasted ten films, stretching all the way back to Toy Story. They’ve never had a flop. EVER. 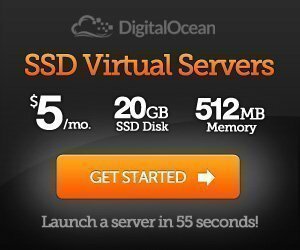 suanie: Nemo is great, I have a hard time choosing. Myhorng: Good film, but not a classic IMHO. Wan Kidd: Haha yah just toying with you. Mellissa: Yah Pixar just rocks it, even their shorts are amazing. eyeris: True, can’t disagree with you there. i watched both as well, Up and D9, agree that both are certainly some of the BEST movies of the year! heartwarming and cute UP, and quirky yet sarcastically real D9. J2Kfm: Yah very good films both of them.